King Chadae was the seventh ruler of the Goguryeo kingdom. His name was Suseong and he was the younger brother of his predecessor and the sixth king, King Taejo. During his brother’s reign in the year 121, Chadae successfully defeated invading forces of China’s Later Han Dynasty. Due to his distinguished service in the war, he was able to control both the military and the court to manage state affairs on his own authority. On the back of his strong power within the court, he coveted his brother’s place. He attempted to usurp the throne with his supporters, when the previous king, Taejo, chose to turn over the throne to his ambitious brother. Some of the king’s retainers were vehemently opposed to the scheme. But Chadae killed his opponents and eventually took the throne from Taejo, who had no choice but to abdicate. Although he cited Taejo’s advanged age as the reason he should take the throne, Chadae himself was 75 years old when he became king in the year 146. 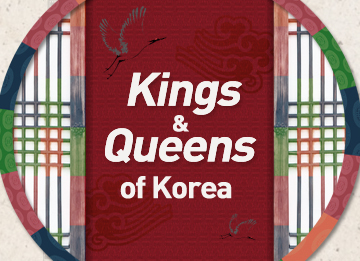 Based on his process of becoming king, Chadae is believed to have been incredibly overambitious. Historical records say Chadae was a brave king with dignity but he was not very generous. Many believed that he was rather cruel, because after he became king in the course of tightening his grip on power he killed Taejo’s two sons, his own nephews. He also forced one of his brothers to commit suicide and oppressed his youngest brother, Baekgo, who later became King Sindae. While King Chadae was able to strengthen royal authority through merciless purges of his own flesh and blood, natural disasters occurred repeatedly and social unrest continued throughout his reign. His 19-year tyrannical rule ended in the year 165 when he was assassinated by his own subject named Myeongnim Dap-bu. Under the harsh reign of King Chadae, his brother Baekgo hid himself deep in the mountains and led a secluded life. After the king’s death, however, Baekgo was invited to the court and became King Sindae. But The Memorabilia of the Three Kingdoms states that Sindae murdered his predecessor King Chadae. After ascending to the throne, King Sindae tried to stabilize the court by embracing those who were against him. For instance, he gave the title of prince as well as some land to the previous king’s son and incorporated opponents into his government. Historical accounts say that the king was smart and compassionate. As part of efforts to consolidate royal power, he put two important posts together into one major post called guksang. He named Myeongnim Dap-bu, who had killed the previous king, to this top post. In doing so, the king sought to control his subjects and centralize his power. The Later Han Dynasty of China continued to invade Goguryeo during King Sindae’s reign, but Goguryeo managed to fend off the invaders and protect the border. 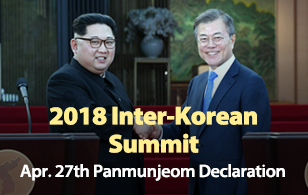 Furthermore, the Goguryeo state continued to push for its territorial expansion to the west. In the year 176, the king proclaimed his second son Nam-mu as crown prince, laying the groundwork for the father-to-son power transition. After Sindae died in the year 179 at the age of 91, the crown prince succeeded him to become King Gogukcheon, the ninth ruler of Goguryeo.